The Supreme Court will also examine to what extent it can interfere in the Muslim personal laws if they are found to be violative of the fundamental rights of citizens written in the Constitution. New Delhi: The Supreme Court will begin hearing a batch of pleas challenging the constitutional validity of 'triple talaq', 'nikah halala' and polygamy practices among Muslims today. Attorney General Mukul Rohatgi will assist the bench which will also examine to what extent the court can interfere in the Muslim personal laws if they are found to be violative of the fundamental rights of citizens written in the Constitution. The top court had on its own taken cognizance of the question whether Muslim women faced gender discrimination in the event of divorce or due to other marriages of their husbands. The top court had on March 30 said that the Muslim practices of triple talaq, nikah halala and polygamy are issues that are "very important" and involve "sentiments" and a constitution bench would hear the petitions from May 11. Influential Muslim organisations like the All India Muslim Personal Law Board (AIMPLB) have opposed court's adjudication of these matters, maintaining these practices stemmed from the Holy Quran and were not justiciable. 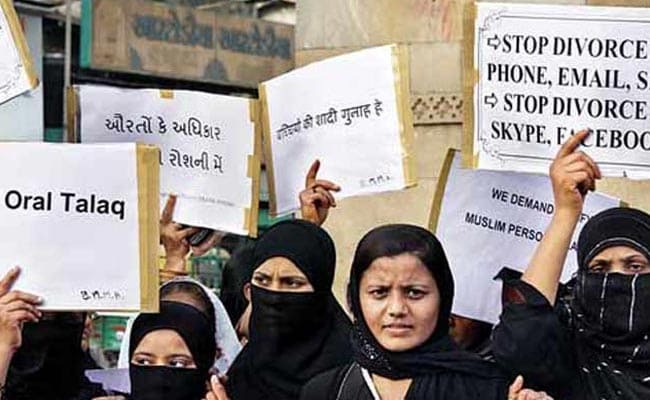 The Muslim women who have filed the petitions have challenged the practice of triple talaq in which the husband, quite often, pronounces talaq thrice in one go, sometimes even by phone or text message. On other hand, nikah halala is a practice intended to curb the incidence of divorce under which a man cannot remarry his former wife without her having to go through the process of marrying someone else, consummating it, getting divorced, observing the separation period called 'Iddat' and then coming back to him again. The top court while referring to the matter to a larger bench had observed that "sentiments" were involved in the matter pending before it and a five-judge constitution bench would adjudicate the issue, which required a detailed hearing. The top court had earlier said it would decide issues related to the legal aspects of the practices of triple talaq, nikah halala and polygamy among Muslims, but would not deal with the question whether divorce under Muslim law needs to be supervised by courts as it fell under the legislative domain. The Centre had on October 7 last opposed in the Supreme Court the practice of triple talaq, nikah halala and polygamy among Muslims and favoured a relook on grounds like gender equality and secularism. On March 27, the All India Muslim Personal Law Board (AIMPLB) had told the Supreme Court that pleas challenging such practices among Muslims were not maintainable as the issues fell outside the realm of judiciary. The Board had also said the validity of the Mohammedan Law, founded essentially in the Holy Quran and sources based on it, cannot be tested on the particular provisions of the Constitution. The Ministry of Law and Justice, in its affidavit, had referred to constitutional principles like gender equality, secularism, international covenants, religious practices and marital law prevalent in various Islamic countries to drive home the point that the practice of triple talaq and polygamy needed to be adjudicated upon afresh by the Supreme Court.